Here is Theresa May’s open letter to EU citizens living in the UK. Just to be clear: the EU has made an offer – of maintaining existing rights for UK citizens in the EU and EU citizens in the UK – which May has not accepted because she wants to curtail those rights. That is why we have not yet reached an agreement. It is not because the EU is being unreasonable, but because the EU is offering more rights than May wants to concede. c. EU citizens will not have the right to vote in local elections (as they do now) or national elections (which they do not, but should). d. EU citizens who have permanent residence will have that taken away; instead they will have to apply for settled status to the Home Office, which means their rights will be at the whim of one of the most bureaucratic, unpredictable, unaccountable bureaucracies I have ever encountered. e. EU citizens will lose the right to have their rights enforced by an international court – the European Court of Justice – which is willing and able to limit the discretion of the UK government to change these rights in future. These are a significant loss of rights for the people affected. So when Theresa May says that she has “been clear throughout this process that citizens’ rights are my first priority.”, please understand that she means that her priority is to limit those rights, not to protect them. Can someone take into account the almost 1 million UK citizens in the EU. Many like myself have built a life in the EU. I have 32 years of social security payments in Spain, nobody mentions this! We are UK citizens and still theoretically protected by the UK first and foremost. Thanks. You are right. 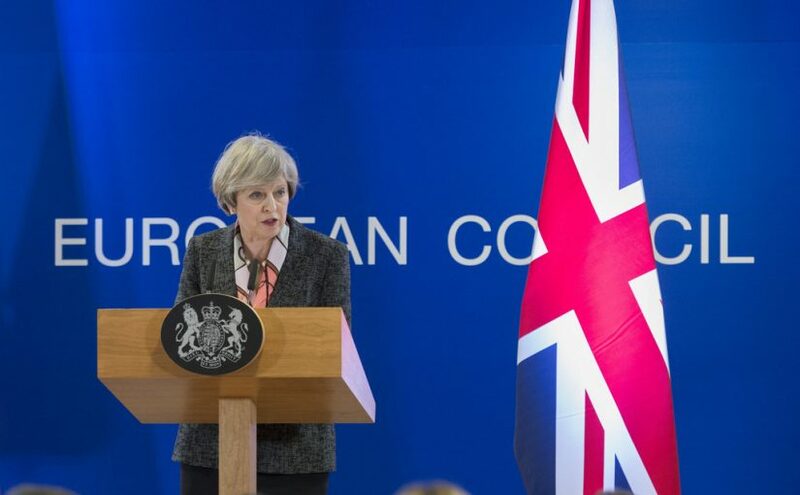 One of the pernicious consequences of Theresa May’s unwillingness to agree to the EU offer is that she is not accepting the EU’s offer to preserve the rights of UK citizens living elsewhere in the EU. She is (metaphorically) holding you hostage in her determination to curtail the rights of EU citizens in the UK. My wife is Spanish and has lived and worked continuously in the UK since 1998. We now live 50/50 in the UK and Spain (our only owned property is in Spain). My (rather selfish) concern now is that when we live permanently in Spain my rights will justifiably be limited in response to the UK’s reticence in respecting and maintaining the current arrangements. The whole situation is ridiculous and makes little or no sense. Yet another example of May’s disingenuous manouevering. A ‘generous’ offer to safeguard the rights of EU citizens resident in the UK while diminishing the scope of those rights and removing any guarantees. Does she think she’s dealing with fools in the Brexit negotiations? Clearly, the representatives of the other member states are quite well aware of what she’s trying so very hard to achieve and will respond accordingly. As a British citizen living on mainland Europe I am appalled by her stance on EU migrants in the UK. I am also appealed at how little she cares about UK citizens living on mainland Europe, some of us have sunk every penny we have into business’s and homes here. I feel like a pawn in the most twisted game of chess ever played. Brexit makes no sense, the fallout from Brexit can only spiral backwards in undoing all the progress of the last forty years. UK nationals in the EU are lucky to be in jurisdictions that will be far less vindictive than the UK Home Office. I completely agree. We spend a large amount of the year in Europe, though the UK is our primary home. Our British friends abroad who are not so “lucky”, apart from being disenfranchised in this “advisory” (not!) referendum, now live in tenterhooks at having their citizenship rights shredded by this ideological catastrophe. At the very least, such people ought to be given their own referendum to express their view – the result to be added to last year’s marginal result. The damage this xenophobic process is doing to our reputation is shameful. I don’t attribute May’s posturing to malice, as do others, but to a complete delusion of competence and a self-interested desire to control her party at whatever cost. Deep down you know – I believe you must know, that Brexit is just not workable and – ultimately – that Brexit will not happen….because it can’t. We don’t care who you want to blame for the failure of Brexit…it really doesn’t matter…just find whatever face-saving reason you like best and pull-out of all these hapless negotiations. Abandon Brexit and allow common sense and the EU to prevail. Why prolong the agony any further?? The whole thing is a disaster. Both UK citizens in the EU and EU citizens in the UK have been #inlimbo for months. We cannot plan our futures, we fear the loss of our rights, we wonder whether our families will be split. Those of us who are in ‘mixed marriages’ (one EU/one British) will lose rights too, but not necessarily the same. Until the referendum (won on lies, gerrymandered and, let’s remember, supposedly only ‘advisory’), we were all EU citizens living in the EU. Now, one way or another, we are bargaining chips, pawns and pariahs. Previous Previous post: What rights will EU citizens in the UK lose?